Unhinged, unpredictable, and feared even by members of her own faction, Orendi channels bursts of chaotic energy to ravage her opponents at incredible speed, and seeks to test herself against the greatest challenges Solus has to offer. Orendi's primary attack is a rapid fire volley of chaos bolts. Her slower secondary attack fires four bolts simultaneously. Orendi's abilities can be augmented to increase damage, add status effects, or drastically reduce cooldown timers. Orendi unleashes a burst of energy, dealing damage and propelling her backwards from the blast. 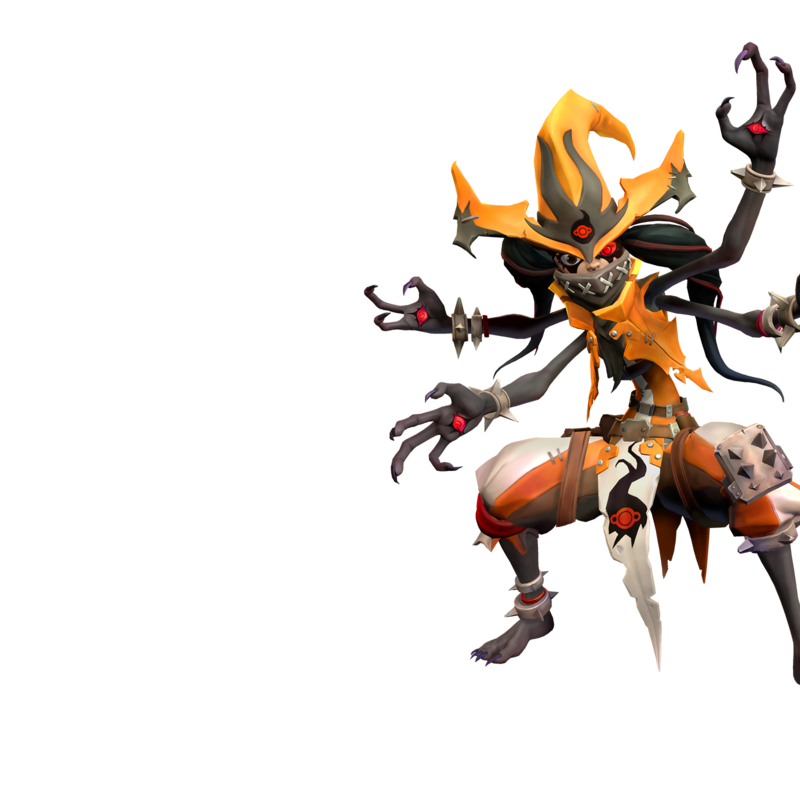 Orendi summons a mighty pillar of shadow and flame, dealing damage to enemies in that location. 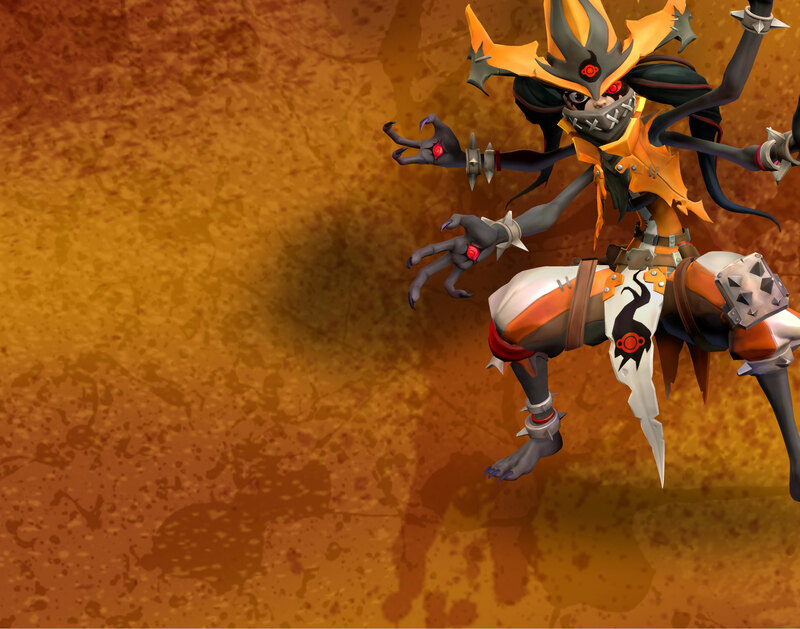 Orendi conjures an intense blast of energy directly in front of her, dealing damage to enemies caught in the blast. Nullify's propulsive burst produces a trail of fire on the ground. Adds a knockback effect to Nullify. Nullify now moves Orendi in the direction she is moving. Shadowfire Pillar deals damage over time to nearby enemies before detonation. Using Nullify now reduces the cooldown of Shadowfire Pillar even more. Increases the damage of all skills. Decreases Shadowfire Pillar's cooldown time. Adds a blind effect to Nullify. Orendi immediately begins recharging shields after using Nullify. Activating Shadowfire Pillar reduces Nullify's cooldown. Increases Shadowfire Pillar's base damage. All skills heal Orendi for a portion of the damage dealt. Nullify damage penetrates enemy shields. Shadowfire Pillar penetrates enemy shields.